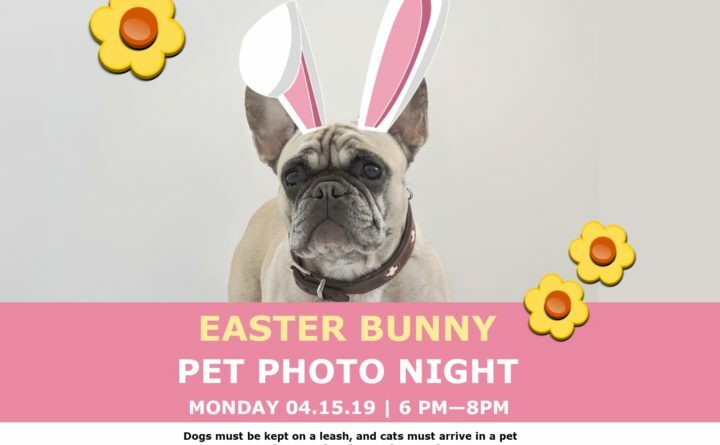 BANGOR — Bring your furry friend to meet the Easter Bunny and pose for a commemorative photo 6-8 p.m. Monday, April 15, at Bangor Mall. Dogs must come on a leash, and cats/rabbits/hamsters must arrive in a pet carrier. Visiting with the Easter Bunny is always free; regular photo prices apply for those wishing to purchase photos.